FHP is investigating a deadly crash that caused two people to die. 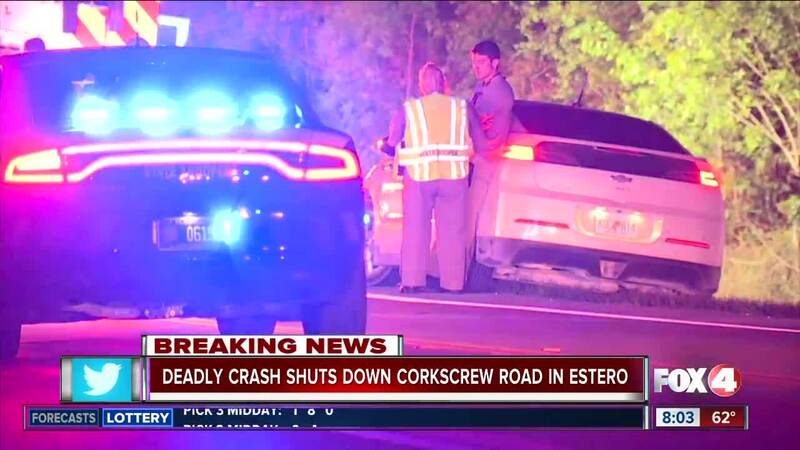 The Florida Highway Patrol is investigating a deadly crash in Estero that killed two people. The accident happened on Corkscrew Road and Six L's Farm Road in Estero early this morning, and the road reopened around 6:30 am. FHP says a 2012 white GMC Terrain driven by Megan Raynor, 23 was traveling east on Corkscrew Road and a 2011 gray Honda Fit driven by Chan F. Lun, 67 was traveling west on Corkscrew Road when the driver of the white GMC terrain lost control and traveled into the path of the gray Honda, resulting in a head-on collision. The Lee County Sheriff's office and Estero fire and rescue were also on the scene, along with the medical examiner both drivers were pronounced deceased on the scene.